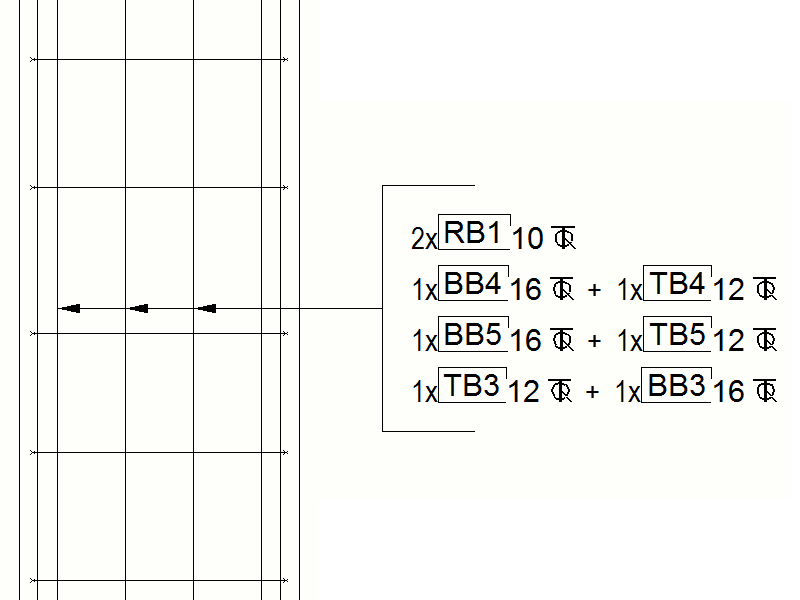 is used to align the rebar marks as shown below. 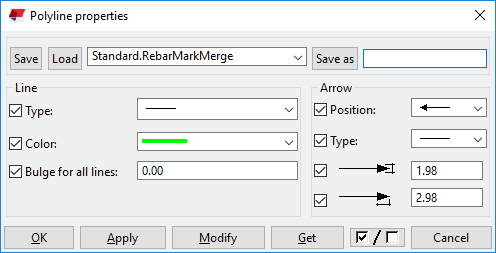 Installers are available at 'Rebar Mark Merge'. 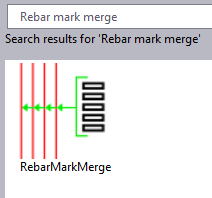 After installation, the 'Rebar Mark Merge' application is available in the 'Applications & components'. 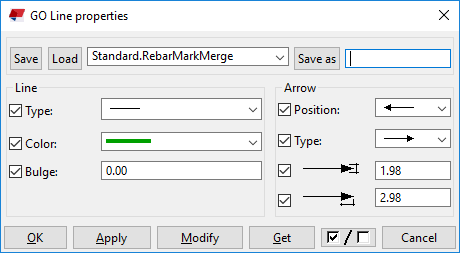 Pre-select the rebar marks. If nothing is selected then message shows 'No marks selected, select and try again'.
. To complete the selection 'Right-click' and select 'Interrupt'. Pick a point to place the aligned marks and this point should be within view where marks present. 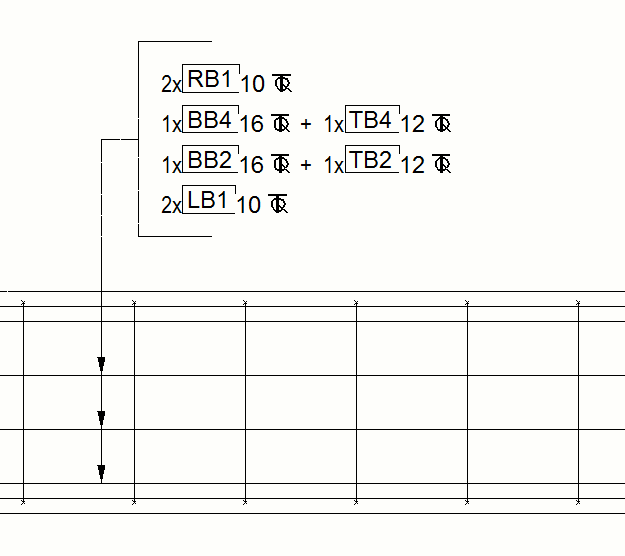 Some cases the reference lines can not be inline and those cases separate leader line connected to set line as below. Listing of polyline attributes to use for set lines. These attribute files can be generated using the below dialog with required parameters and these attributes is listed in this control. Listing of 'GO line' attributes to use for reference lines. These attribute files can be generated using the below dialog with required parameters and these attributes is listed in this control.